Hello, all royal visitor elcircuit.com, in this post I will share a post about the 1000W mono power amplifier using 2SC52000 transistor and 2SA1943 as the final transistor. 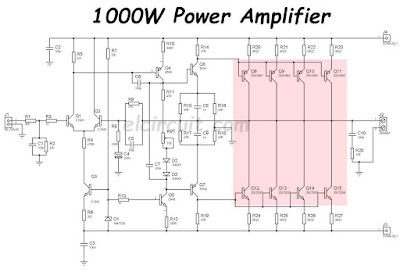 In this 1000W power amplifier has a transistor amplifier configuration with emitter commons. A little explanation of the emitter commons reinforcement which means is a circuit with emitter pins connected together. In the emitter common configuration, base transistor pins are used as inputs while the collector pin section is used as output. Transistor amplifier with common emitter configuration is one of the most widely used configurations compared to a common base and common collector, Whether it is for audio, video, high-frequency amplifier, and others. 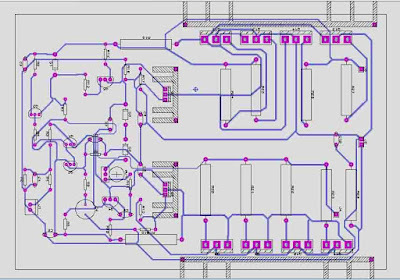 This is because the amplifier with common transistor emitter configuration will amplify the current and voltage simultaneously. The input signal to the output on the common emitter is reversed phase. 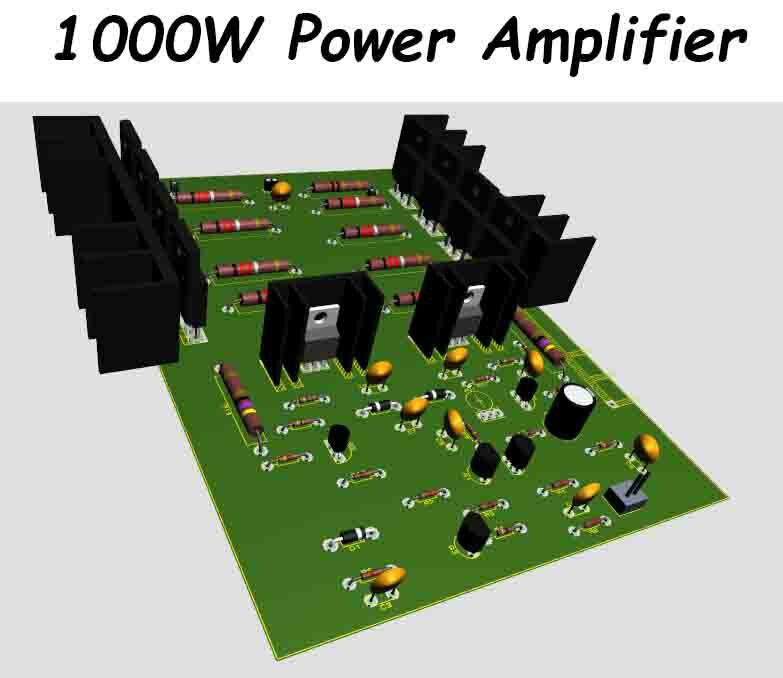 Thus making it more powerful power amplifier, and to discharge power up to 1000W Power Supply will require a capable, if not then the power will be a useless or wasteful component when compared with a good power supply. For example, the power supply is used at least 10A 55V. 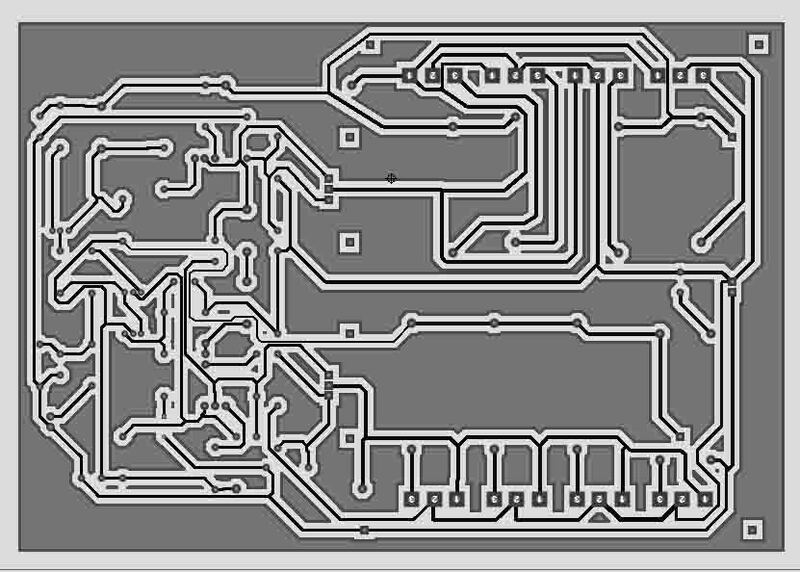 And to add more power you can upgrade the final part of 2SC5200 and 2SA1943 transistors into more. Thank you and Good Luck. 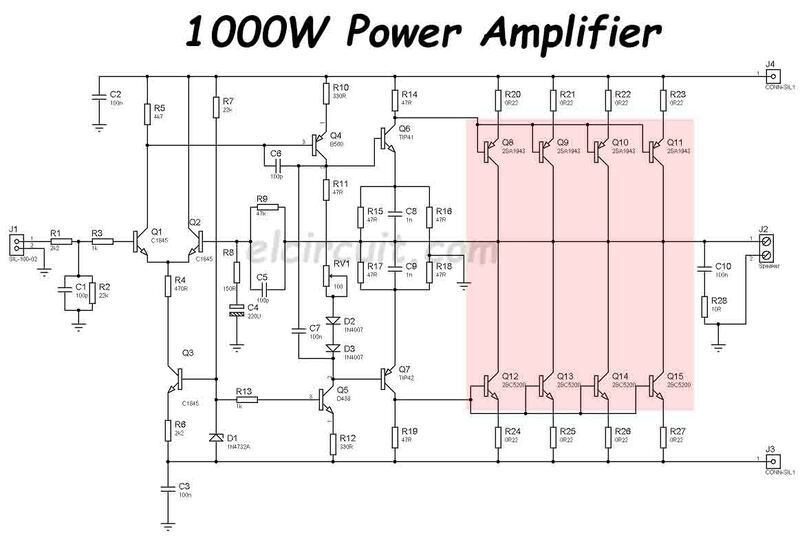 Do you already to make this power amplifier? or do you have any video on your youtube channel. How is the sound quality? I'm looking for a very high quality and very high power amplifier. This is a very interesting design. Has it been tested? VR1 is not mentioned in the parts list. In the diagram it is not very clear - it looks like 100 Ohm. Is this correct? Also - how do you propose to set the bias? 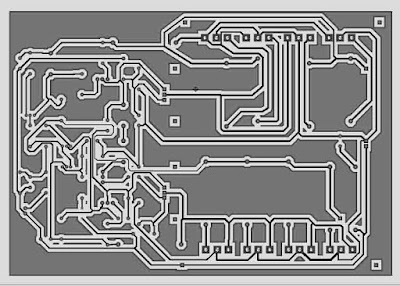 Yes its 100R for VR1 , and the purpose for it is adjusting voltage emiter to emiter voltage q4 and q5 and set output into minimum voltage upto 0V. Hi I seen the zenner diode is not mentioned, is it relevant? so as the TIP 31 is in left attack and right attack ? One pair of 2sc5200 + 2SA1943 is up to 100w by datasheet. How you collect 1000 from 4 pairs? 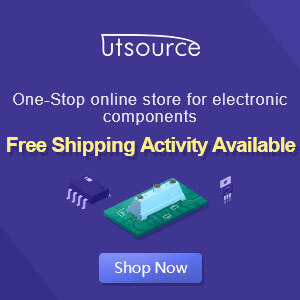 Is Q4 & Q5 is the Bias Transistors or what transistor is it ? Pls. 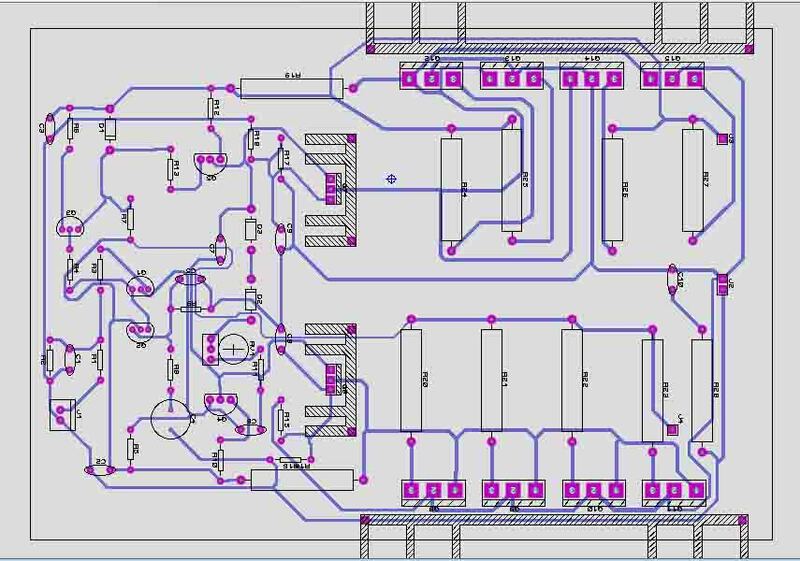 give the exact secondary for power supply transformer and its diode and capacitors in this project..